It’s Mad Monday again! The first Monday of every month where I share with you a recipe that is very quick, but also is popular and a great family meal. If the family is hungry and you want a warm, tasty and filling meal on the table in less than 30 minutes then this will have them happy and satisfied in no time. This is such a quick and easy recipe – I’m trying to perfect similar recipes that we can buy already made in jars. This one is getting pretty close to one of the commercial ones that was a family favourite of ours before I had a Thermomix. Place garlic, onion and bacon into TM bowl and chop 3 sec / speed 5. Add stock, mustard, honey, lemon juice, pepper and cream cheese and mix 5 sec / speed 5. Add chicken and with aid of spatula, coat chicken with sauce and cook 18 mins / 100°C / speed 1 / Reverse. Drain pasta and return into empty ThermoServer. 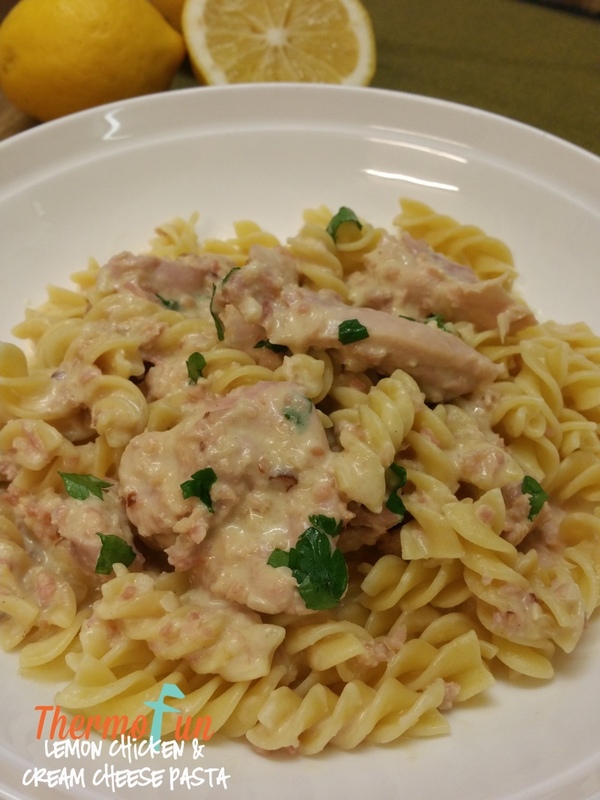 Pour lemon chicken into pasta and combine well. Garnish with parsley. 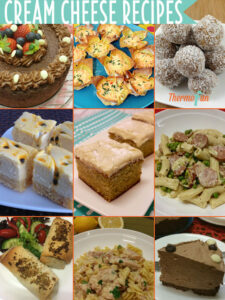 Michelle – I have a blog post with all my varoma recipes on it for you to try. This was great. Was really surprised about the pasta cooking in the Thermoserver. Next time I will add peas to cook with the pasta, just to add some colour. My family loved this recipe, it was delicious. Shaz this recipe wouldn’t really matter how much or how little you used. I would have a guess at around 500g though. Thanks Leonie was just checking and are all the recipes servings for around 4 people ? Shaz I’d say minimum of four people and a lot are for 6. We really enjoyed this quick pasta. So tasty! I added some zucchini to it which was lovely. We had this for lunch yesterday. Another hit. Thank you. This is such a quick and easy dinner great for when I finish work at 8pm I use just a little bit of lemon though as the kids aren’t lemon fans!